Four hours drive north of my home, a city has been brought to its knees. At present 75 are confirmed dead and 300 are missing. 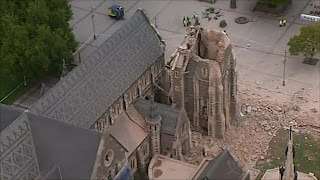 Infrastructure is shattered, buildings flattened and the spire has fallen from the city's famous cathedral. This morning as I hugged my family before they went off to school and work, my heart hurt for the countless people in Christchurch who are waiting for loved ones to come home. 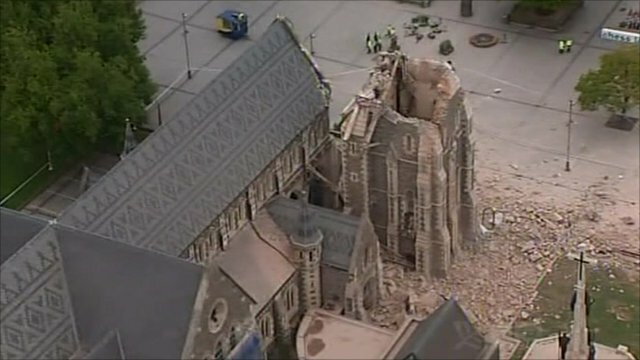 Please keep the people of Christchurch in your thoughts and prayers. I hope they find the missing people and my heart does go out to them. It's especially sad when something so devastating hits close to home. My prayers go out to them. I'm glad you and your family are safe.